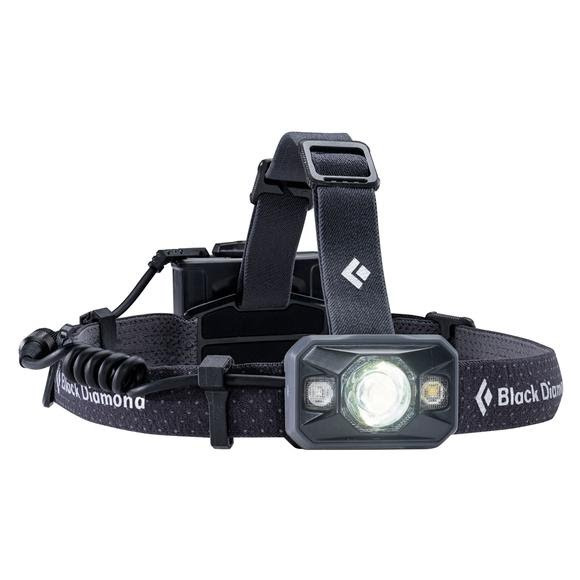 Whether you're rappelling an alpine route or 50 miles into an overnight trail run, the Black Diamond Icon Headlamp provides an unparalleled 500-lumen output, making it their most powerful light. Waterproof to 1 meter, it's fortified for mishaps, and with red, green and blue night-vision modes, its versatile for any mission and easily protects your night vision. Whether you&apos;re rappelling an alpine route or 50 miles into an overnight trail run, the Black Diamond Icon Headlamp provides an unparalleled 500-lumen output, making it their most powerful light. Waterproof to 1 meter, it&apos;s fortified for mishaps, and with red, green and blue night-vision modes, its versatile for any mission and easily protects your night vision. Now with a removable battery pack that can be easily stowed in a pocket to preserve battery life and programmable brightness memory, the Icon can be customized to fit any adventure.